At least 32 Danish citizens have received about 378,000 kroner (US$57,000) in unemployment benefits …while they were ‘employed’ engaging in jihad, fighting alongside extremists in Syria, government data shows. “STAR [Danish Labour Agency] has thus far received information pertaining to 32 people who, according to PET’s [Security and Intelligence Service] information, have gone abroad in relation to the conflict in Syria while at the same time receiving social benefits,” an Employment Ministry document obtained by Danish Radio24syv says. The benefits paid to members of Islamic State (IS, formerly ISIS/ISIL) are in the form of kontanthjælp and dagpenge, two types of unemployment payments. Denmark has one of the best systems of unemployment benefits. Those who are on dagpenge welfare benefits can receive up to 801 kroner per day ($121) for up to two years. According to Peter Skaarup of the Danish People’s Party, the recent information about benefits for jihadists show that Copenhagen was “careless” about extremists. “There has been a lot of talk about how serious it is, but when it comes to the practical consequences we can see that nobody does anything,” he told BT, a local tabloid. He said that every single case should be reported to police immediately “because you are not available to the job market when you are in the midst of Syria’s civil war." The information that Danish radicals fighting for IS [Islamic State, formerly known as ISIS/ISIL] receive unemployment benefits was revealed back in November 2014. However, then PET put the number of ‘unemployed’ extremists to 28 and didn’t specify the amount of money they manage to receive while fighting in the ranks of IS. In March, PET said that at least 115 Danish citizens have joined jihadists in Syria and Iraq since the start of Syrian Civil War in 2011. Nineteen of them were killed in battle. “CTA [PET’s Centre for Terror Analysis] believes there is a continued terror threat against Denmark from people who return home from the conflict in Syria/Iraq,” the head of PET, Jens Madsen, said. 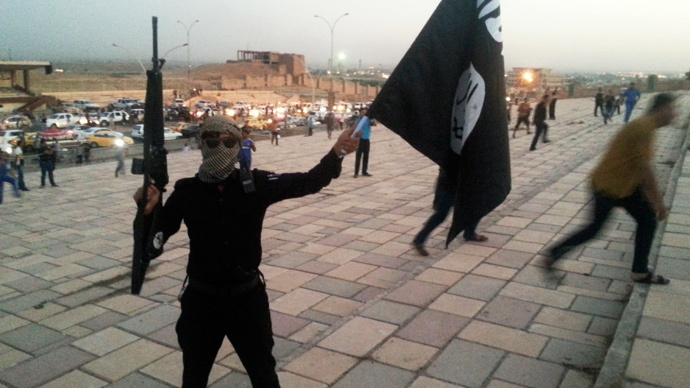 According to CTA Director Soren Jensen, the influence of IS in Denmark is quite significant. “We assess that there are still people who join the militant Islamic environments in Denmark and that within those environments there is widespread sympathy for ISIL,” he said. Between 5,000 and 6,000 Europeans have traveled to Syria to join Islamic State, the EU Commissioner for Justice Vera Jourova said in April. The EU nationals traveling to Syria cause authorities’ concern, as the European governments fear they may return and carry out attacks on home soil.